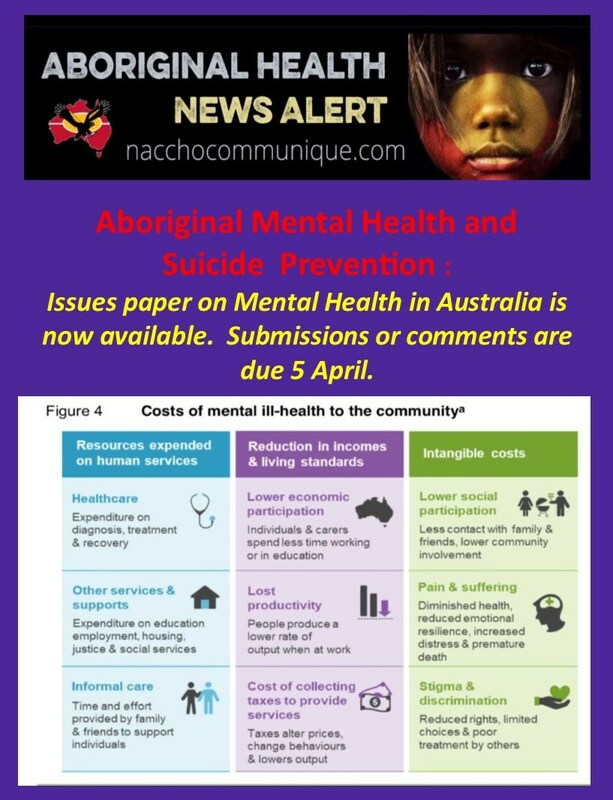 NACCHO Aboriginal #MentalHealth and #SuicidePrevention : @ozprodcom issues paper on #MentalHealth in Australia is now available. It asks a range of questions which they seek information and feedback on. Submissions or comments are due by Friday 5 April. ” Many Australians experience difficulties with their mental health. Mental illness is the single largest contributor to years lived in ill-health and is the third largest contributor (after cancer and cardiovascular conditions) to a reduction in the total years of healthy life for Australians (AIHW 2016). “Clearly Australia’s mental health system is failing Aboriginal people, with Aboriginal communities devastated by high rates of suicide and poorer mental health outcomes. Poor mental health in Aboriginal communities often stems from historic dispossession, racism and a poor sense of connection to self and community. It is compounded by people’s lack of access to meaningful and ongoing education and employment. Drug and alcohol related conditions are also commonly identified in persons with poor mental health. significant stigma and discrimination around mental ill-health, particularly compared with physical illness. The Productivity Commission has been asked to undertake an inquiry into the role of mental health in supporting social and economic participation, and enhancing productivity and economic growth (these terms are defined, for the purpose of this inquiry, in box 1). By examining mental health from a participation and contribution perspective, this inquiry will essentially be asking how people can be enabled to reach their potential in life, have purpose and meaning, and contribute to the lives of others. That is good for individuals and for the whole community. In 2014-15, four million Australians reported having experienced a common mental disorder. 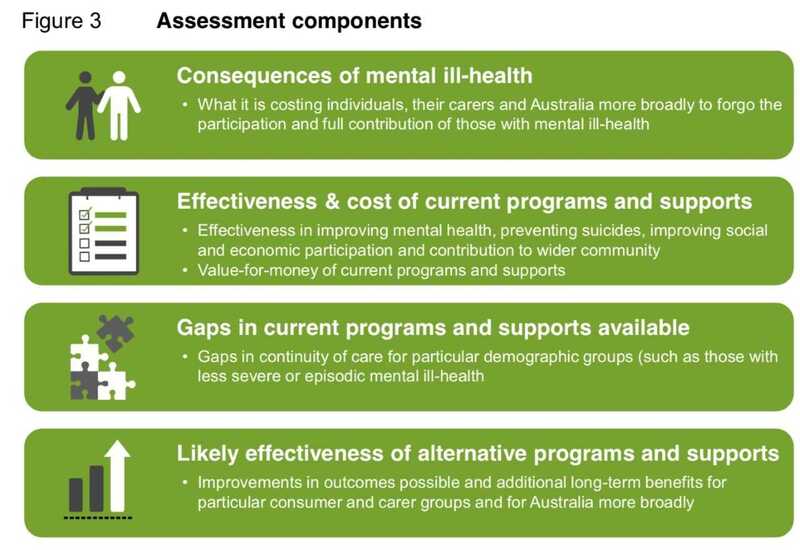 Mental health is a key driver of economic participation and productivity in Australia, and hence has the potential to impact incomes and living standards and social engagement and connectedness. Improved population mental health could also help to reduce costs to the economy over the long term. 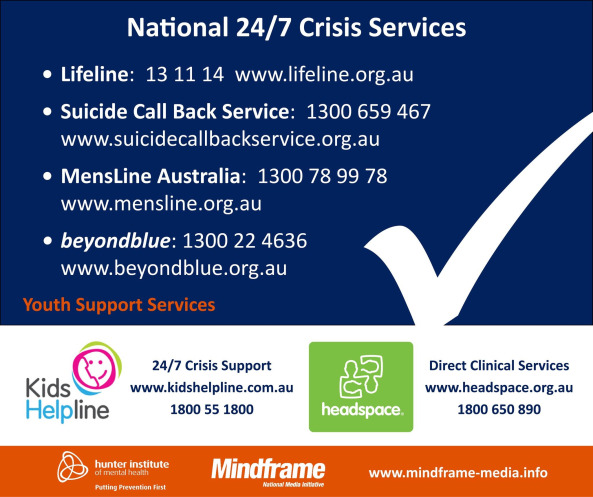 Australian governments devote significant resources to promoting the best possible mental health and wellbeing outcomes. This includes the delivery of acute, recovery and rehabilitation health services, trauma informed care, preventative and early intervention programs, funding non-government organisations and privately delivered services, and providing income support, education, employment, housing and justice. It is important that policy settings are sustainable, efficient and effective in achieving their goals. Employers, not-for-profit organisations and carers also play key roles in the mental health of Australians. Many businesses are developing initiatives to support and maintain positive mental health outcomes for their employees as well as helping employees with mental illhealth continue to participate in, or return to, work. The Commission should consider the role of mental health in supporting economic participation, enhancing productivity and economic growth. It should make recommendations, as necessary, to improve population mental health, so as to realise economic and social participation and productivity benefits over the long term. develop a framework to measure and report the outcomes of mental health policies and investment on participation, productivity and economic growth over the long term. The Commission should have regard to recent and current reviews, including the 2014 Review of National Mental Health Programmes and Services undertaken by the National Mental Health Commission and the Commission’s reviews into disability services and the National Disability Insurance Scheme. how to share your views on the terms of reference and the matters raised. Participants should not feel that they are restricted to comment only on matters raised in the issues paper. We want to receive information and comment on any issues that participants consider relevant to the inquiry’s terms of reference. Mental health is a state of wellbeing in which every individual realises his or her own potential, can cope with the normal stresses of life, can work productively and fruitfully, and is able to make a contribution to his or her community. Mental illness or mental disorder is a health problem that significantly affects how a person feels, thinks, behaves and interacts with other people. It is diagnosed according to standardised criteria. Mental health problem refers to some combination of diminished cognitive, emotional, behavioural and social abilities, but not to the extent of meeting the criteria for a mental illness/disorder. Mental ill-health refers to diminished mental health from either a mental illness/disorder or a mental health problem. Social and economic participation refers to a range of ways in which people contribute to and have the resources, opportunities and capability to learn, work, engage with and have a voice in the community. Social participation can include social engagement, participation in decision making, volunteering, and working with community organisations. Economic participation can include paid employment (including self-employment), training and education. Productivity measures how much people produce from a given amount of effort and resources. The greater their productivity, the higher their incomes and living standards will tend to be. Economic growth is an increase in the total value of goods and services produced in an economy. This can be achieved, for example, by raising workforce participation and/or productivity. Sources: AIHW (2018b); DOHA (2013); Gordon et al. (2015); PC (2013, 2016, 2017c); SCRGSP (2018); WHO (2001). 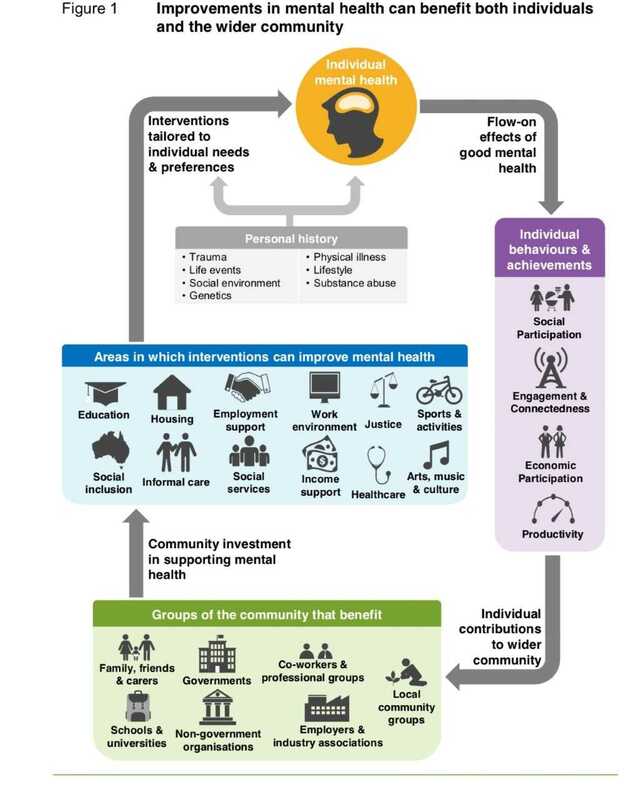 An improvement in an individual’s mental health can provide flow-on benefits in terms of increased social and economic participation, engagement and connectedness, and productivity in employment (figure 1). This can in turn enhance the wellbeing of the wider community, including through more rewarding relationships for family and friends; a lower burden on informal carers; a greater contribution to society through volunteering and working in community groups; increased output for the community from a more productive workforce; and an associated expansion in national income and living standards. These raise the capacity of the community to invest in interventions to improve mental health, thereby completing a positive reinforcing loop. The inquiry’s terms of reference (provided at the front of this paper) were developed by the Australian Government in consultation with State and Territory Governments. The terms of reference ask the Commission to make recommendations to improve population mental health so as to realise higher social and economic participation and contribution benefits over the long term. 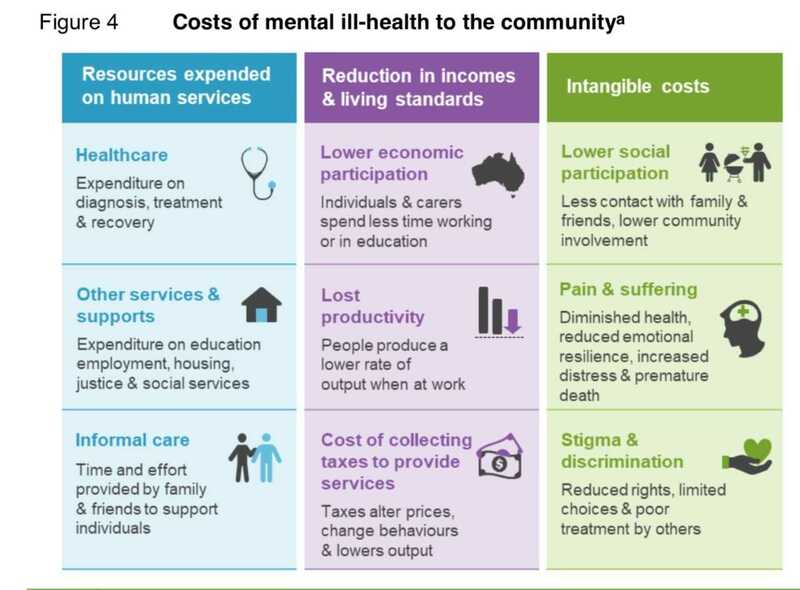 The costs of mental ill-health for both individuals and the wider community will be assessed, as well as how these costs could be reduced through changes to the way governments and others deliver programs and supports to facilitate good mental health. The Commission will consider the types of costs summarised in figure 4. These will be assessed through a combination of qualitative and quantitative analysis, drawing on available data and cost estimates, and consultations with inquiry participants and topic experts. We welcome the views of inquiry participants on other costs that we should take into account. “As a society we need to be alert to mental illness and remove the taboo on discussing it, which is why we are talking more often and openly about mental health issues,” he said. “This is why my Government is investing more in mental health and making services far more accessible, including through our smart phones. “Investing in non-Aboriginal services and organisations to deliver Aboriginal health and social services is widely acknowledged as failed policy. A re-elected Turnbull Coalition Government will invest $192 million towards a bold package of mental health reforms to ensure help for individuals and their families across Australia, including key commitments in suicide prevention. 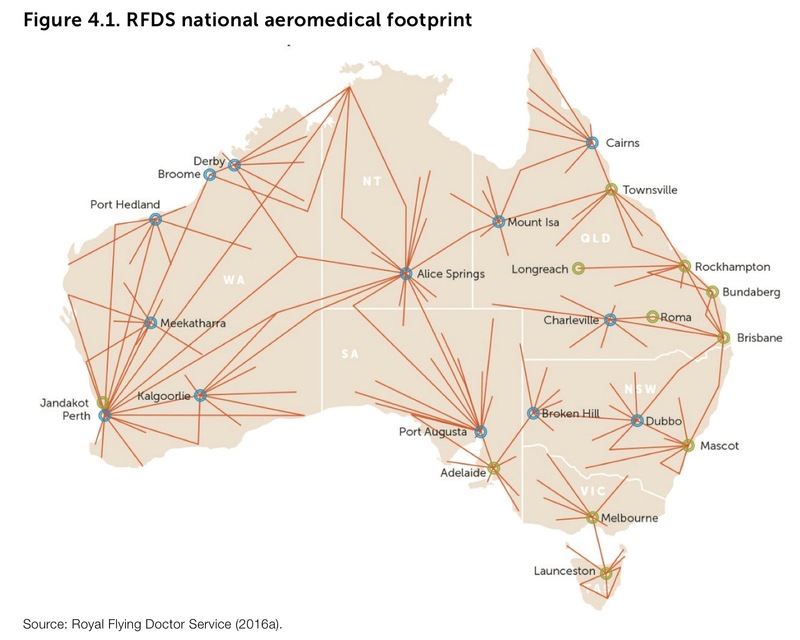 This is in addition to a series of important steps already undertaken in our first term, including the commissioning of regionally-delivered mental health services through Primary Health Networks (PHN’s) in partnership with state, territory and local service providers. Our National Suicide Prevention Strategy will draw together the current fragmented approach to suicide prevention and build on what is working well to focus on effective strategies to prevent suicide and reduce suicidal behaviour. Under a Coalition Government, we will prioritise $26 million for 10 PHN Mental Health lead sites to trial innovative approaches in mental health services. These will include establishing regional service pathways, evolving models of stepped health care and increasing use of digital technology. Four of these locations will specifically focus on suicide prevention. We will invest a further $24 million to add a further eight Suicide Prevention Trial sites throughout regional Australia, bringing the total number to 12. These trial sites will build on best practice and community models and adopt new digital technologies to assist in crisis support, clinical intervention and ongoing support for individuals. Spend $30 million to trial new digital technologies to ensure access to mental health services wherever and whenever needed 24/7. Strengthen the National Mental Health Commission, which will provide independent oversight of our mental health reforms. Minister for Health Sussan Ley said the Coalition would also establish a $12 million Suicide Prevention Research Fund to support targeted research to develop and evaluate regional suicide prevention models and provide a best practice hub of resources. “The Coalition Government understands the impact of depression, anxiety and poor mental health on both individuals and our productivity as a nation, is significant,” Ms Ley said. “Our mental health reforms will result in better personalised support and care, greater opportunity and better lives for Australians. Suicide Prevention Australia welcomes The Coalition’s $192m suicide prevention and mental health plan announced today. This follows last weekend’s announcement of support for suicide prevention and mental health by the Australian Labor Party. National Mental Health Commission reprising its role as the independent statutory authority. What are other parties saying about suicide prevention? Read our summary. What are our members and colleagues saying? Read our summary. “$192 million of new investment in mental health represents a welcome boost to programs and services,” said Mental Health Australia CEO Frank Quinlan. Mental Health Australia has updated its report card detailing the mental health commitments from all three major parties contesting the forthcoming election. “It is encouraging the leaders of the major parties have all made specific commitments to mental health during this election campaign,” said Mr Quinlan. Regardless of who wins the 2 July election, the process of mental health reform will require a decade long commitment to improving mental health services and programs. “We also urgently need for our mental health and alcohol and other drugs services to be under the auspices of the Federal Department of Health rather than being separated into the Department of Prime Minister and Cabinet where it currently is. The healing potential of wild landscapes is being used to counter the devastating impact of the history of colonisation on Indigenous mental health in the Kimberley. 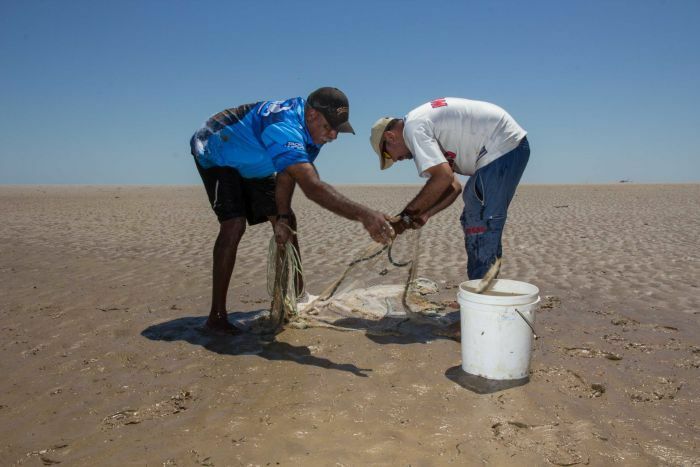 It may look like a simple fishing trip in the vast landscape around west Kimberley’s Fitzroy River. But the four-wheel-drive trailing a plume of dust across the seemingly endless mudflat is at the forefront of a progressive mental health initiative running out of the small town of Derby. For four years, Aboriginal mental health worker James Howard has tackled some of Australia’s worst mental health statistics by going bush and building relationships with other Indigenous men. “Just with my men I’ve been taking out, I’ve seen them get a bit of confidence in talking with other people,” he said. Each week the Derby men’s mental health group goes bush for the day, cleaning up popular fishing destinations, wetting a line and enjoying the therapeutic benefits of the country. Mr Howard leads the group with gentle, unassuming wisdom and a legendary ability with a throw-net and fishing line. 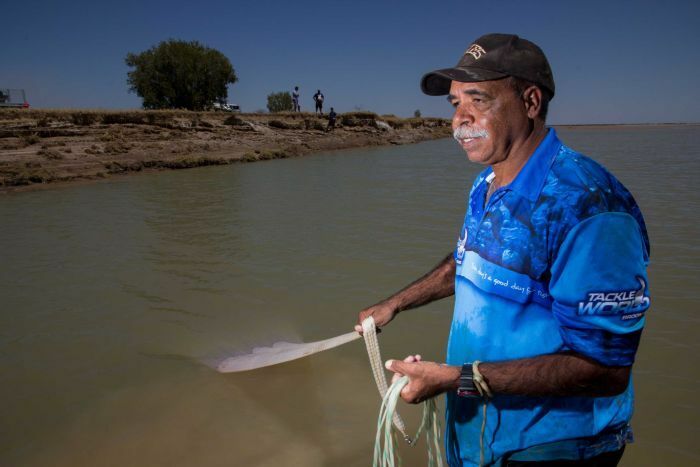 While he loves the celebrations that follow the catching of metre-long barramundi, Mr Howard prizes the impact the group has had on its members above all else. In particular he remembers a member of the group who taught him what was really happening when they went bush. “I think it’s the ultimate success the group can have, is after three months he told me, ‘I won’t be able to come out next week because I’m doing a computer course at TAFE’,” Mr Howard recalled. But just having Indigenous men join the group is a big step in providing support. “Another benefit is even coming into the mental health office; they’ve got that connection there,” Mr Howard said. 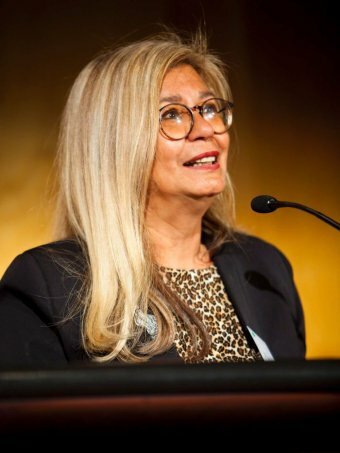 It’s exactly what has been missing from mental health services for Indigenous people, according to psychologist and national mental health commissioner, Professor Pat Dudgeon. “Often Aboriginal and Torres Strait Islander people are presenting at emergency departments with severe mental health problems, rather than engaging in services early and getting treatment in a preventative way,” she said. Dr Dudgeon said mental health services had failed to reach many Indigenous people because they had not been culturally appropriate or locally controlled. “No matter where the Aboriginal or Torres Strait Islander group are, there is cultural difference,” she said. As well as cultural differences, Dr Dudgeon said understanding the pervasive role of history was essential to improving Indigenous mental health. “There has been a dreadful history of colonisation. People have been removed from location, they’ve had their culture denigrated, children have been stolen off families,” she said. Although Australia’s colonisation was historical, Dr Dudgeon said it was an overarching force in contemporary Indigenous mental health. “We’ve got all the statistics on that about poverty, lack of employment, education, etcetera etcetera; they’re still those consequences of colonisation,” she said. Chris is one of the Derby men’s mental health group’s success stories. When he first joined the bush trips, he was struggling to cope with severe schizophrenia, exacerbated by alcohol abuse. “I was really bad. I had to spend a couple of times in a mental institution,” he said. Over three-and-a-half years, the combination of the bond he formed with Mr Howard and the healing influence of the wild landscapes have transformed Chris. “You think real hard, and when you think too hard you get paranoid. So coming out here with James, that takes that all away,” he said. Over time, Chris has learnt how to transfer the peace of mind found in the bush to other parts of his life. “When you go home, it’s back there, but you reflect on the day that you had and things are sweet,” he said. It’s an experience that has given Chris some power over his mental illness, and optimism for his future. 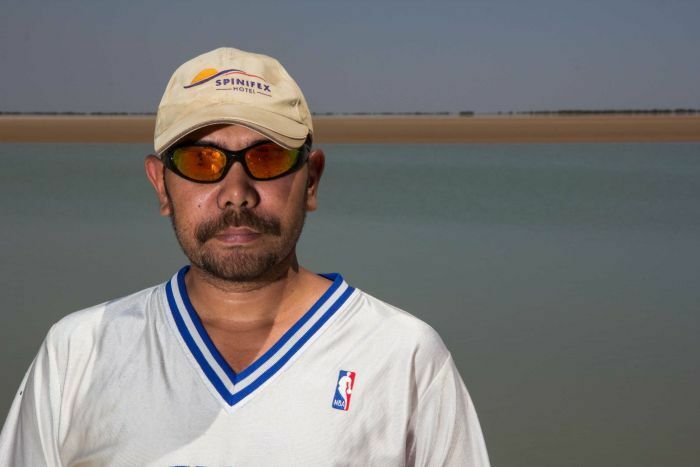 “I suffer from schizophrenia, but I don’t let that word get to me,” he said. Queensland’s Aboriginal and Islander community-controlled health organisations have called for greater coordination in the funding and delivery of mental health services. At the start of Mental Health Week, the sector’s peak body, QAIHC, said today that the particular and unique circumstances faced by Aboriginal and Torres Strait Islander peoples required a unique approach to improving mental illness. QAIHC CEO, Matt Cooke, said that there were immediate steps that Governments should take to improve the effectiveness of mental health services to Aboriginal and Torres Strait Island peoples. “The National Mental Health Commission Review into mental health, released in April, called for Indigenous mental health to be made a national priority with a new ‘Closing the Gap’ mental health target and yet nearly four months later there doesn’t appear to be any progress,” said Mr Cooke. “This illogical separation makes coordination of health services more difficult; it is an entirely avoidable obstacle to success and the new Turnbull Government must reverse it,” Mr Cooke said. Mr Cooke also called for greater investment into workforce training to create a new cohort of Aboriginal and Islander mental health workers and counsellors. “Much more work is needed to open pathways to university degrees in psychology and psychiatry for Aboriginal and Islander people. “There are currently only about 80 Indigenous psychologists in the country and we need about six hundred if want to achieve parity with the population. We need trained mental health workers in every one of Queensland’s 24 community-controlled health services to begin tackling the heartache of suicide and self-harm in particular,” he said. Mr Cooke said that there are many examples of extremely successful community-based Aboriginal and Torres Strait Islander mental health initiatives in drug rehabilitation, suicide prevention and other mental health related challenges. “Initiatives such as the QAIHC ‘Lighting the Dark’ Suicide Prevention Program which was delivered across 10 communities in Queensland have been well received by community as an effective means of addressing suicide. “QAIHC is partnering with St Johns to roll out Aboriginal Mental Health First Aid across our community controlled health services; increasing individual awareness of the risk factors and providing them with skills in working with individuals who are experiencing social, emotional wellbeing, mental illness or suicidal ideation. These initiatives will save lives,” said Mr Cooke. He also referred to the National Empowerment Project currently underway in Kuranda and Cherbourg as another example of a holistic approach using culture and spirituality to empower local people and reduce the terrible burden of mental illness. “What we truly need from Governments is a better directing of funding and a sensible approach to removing obstacles that stand in the way of community-based solutions,” he concluded. “We have the will, the intellect and the determination to address the mental health issues in our communities; what are missing are suitable resources and a trained expert Aboriginal workforce to implement innovative programs which empower our people. Recommended providing indigenous Australians with the training, power and resources needed to determine and deliver our own mental health strategies, within our terms of cultural reference and understandings of mental health. TWENTY years ago tomorrow, the landmark Burdekin report on mental health was launched. Among indigenous Australians it identified high rates of mental health conditions and dreadful impacts in our communities. It recommended providing indigenous Australians with the training, power and resources needed to determine and deliver our own mental health strategies, within our terms of cultural reference and understandings of mental health. Some things have improved in the past 20 years. 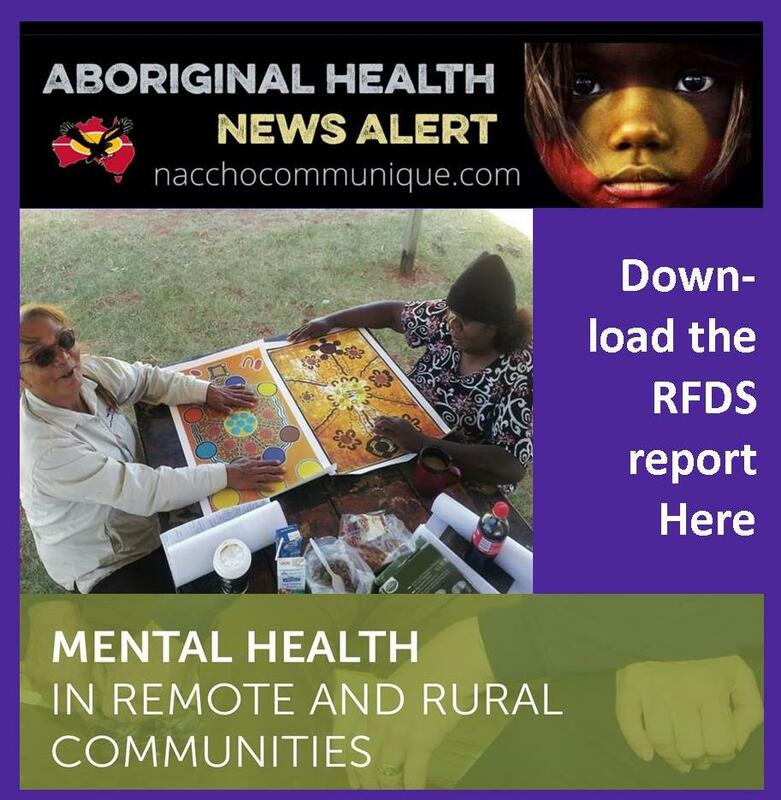 Since 1993, the training of a critical mass of indigenous psychologists and other mental health workers, the establishment of the Healing Foundation, the rollout of the Aboriginal Community Controlled Health Services and the emergence of an indigenous mental health movement mean we are ready to both develop and implement our own mental health strategies. Yet we have also seen little improvement in the statistics and a mental health gap has become apparent. At present, the rates of suicide and hospitalisation for mental health conditions among indigenous Australians are double those of other Australians. Further, poor mental health continues to exacerbate many other disadvantage gaps we suffer. Today, one in four prisoners is indigenous, even though we comprise only one in 33 of the total population. Among them, the incidence of mental health conditions and substance abuse problems is shockingly high. The associations between poor mental health and high imprisonment rates are clear. So, 20 years on, while we take great pride in the emergence of an indigenous mental health leadership, we are also frustrated that little on the ground has apparently changed. How then do we understand our mental health, and what might an indigenous response to the mental health gap look like? Indigenous Australians describe their physical and mental health as having a foundation of “social and emotional wellbeing” originating in strong and positive connections to family and community, traditional lands, ancestors and the spiritual dimension of existence. 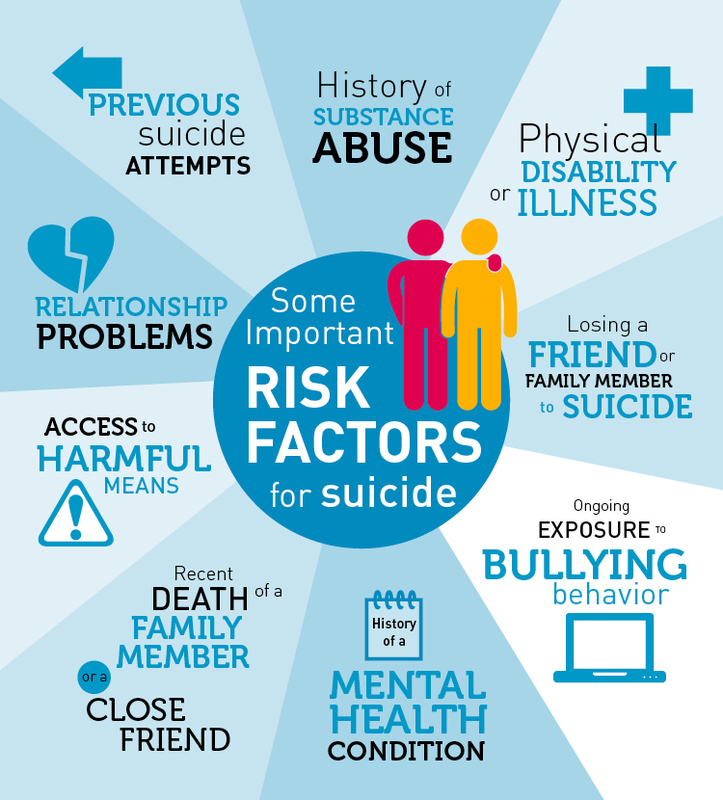 This can be understood as a protective factor against the high rates of stressors and negative social determinants (including sickness, poverty, disability, racism, unemployment and so on) that we suffer and that can lead to depression, anxiety, substance abuse and, sometimes, severe mental illness. In the spirit of “prevention rather than cure”, then, building on culture and social and emotional wellbeing would be at the heart of any overall response to our mental health and suicide rates. We are particularly excited by research in Canadian indigenous communities that reports those with strong cultural foundations who are working to maintain and develop their culture into the future as having significantly lower rates of suicide among their young people than communities under cultural stress. It is thought that young people from a strong cultural background have a sense of their past and their traditions and are able to draw pride and identity from them. By extension, they also conceive of themselves as having a future: a strong disincentive to suicide. Research in our communities, too, supports the idea that there is a high level of need for programs that support culture, and also those that draw on culture to ground healing, suicide prevention and mental health programs. Cultural and social and emotional wellbeing-based policy and program development to address the mental health gap is something that indigenous Australians must lead at both the national and community level. Even with the best will in the world, Australian governments are ill-equipped to work in this profoundly cultural indigenous space. The proper thing here is for Australian governments and others to partner and work with us. Partnership means listening to indigenous Australians and sharing power. For too long the capital in indigenous knowledge, leadership and lived experience has been marginalised and undervalued in all areas, including this one. Such a partnership at the national level is critical because there is currently no overarching, dedicated strategic response to closing the mental health gap that both pulls together all the causal threads and recognises mental health as a potential circuit breaker in so many areas of disadvantage. In fact, five overlapping strategies jostle in the space. 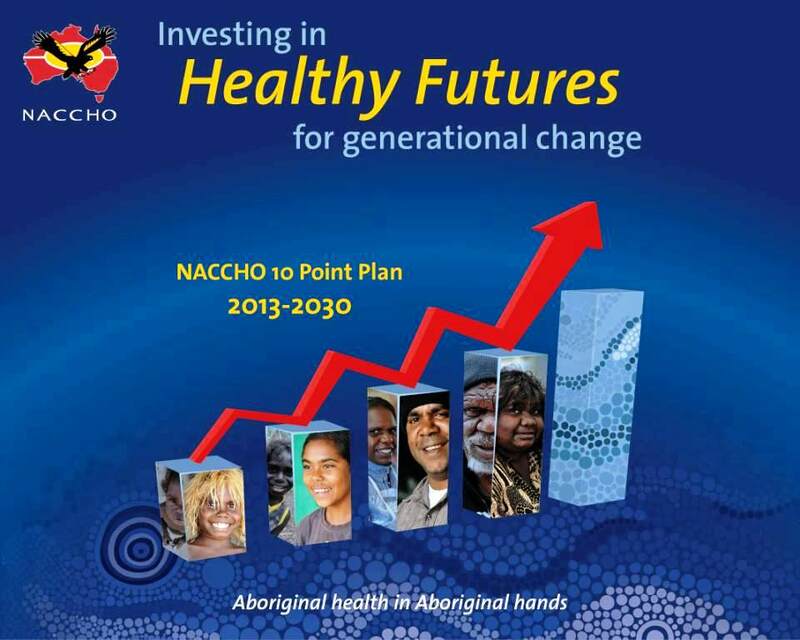 An overarching plan, or policy framework, being developed under Aboriginal and Torres Strait Islander leadership is critical if these strategies are to work together towards a common goal and avoid wasteful duplication. 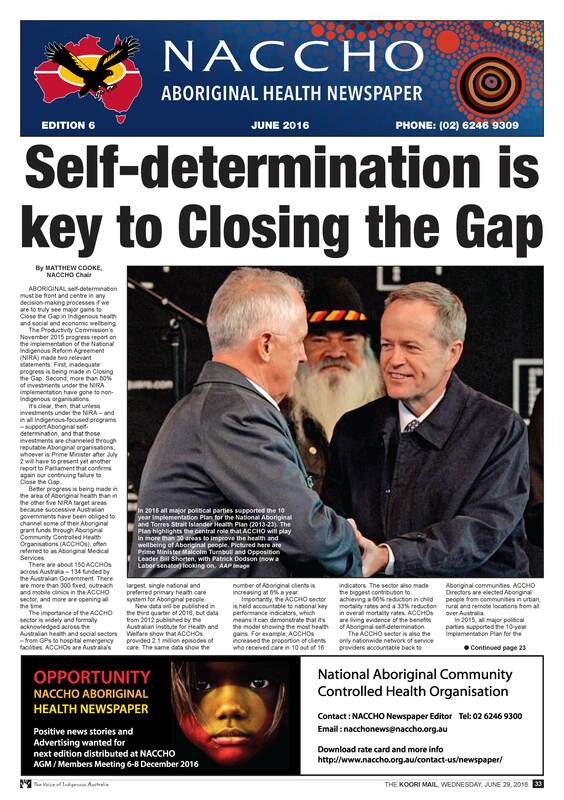 Such a plan would place mental health at the centre of the Council of Australian Governments’ Closing the Gap agenda. It would have a goal to close the indigenous mental health gap and inform a nationally consistent whole-of-government response that includes recognition of, and respect for, our human rights, addresses racism on a national level, and that works to complement the strategies to address disadvantage and social exclusion that already comprise much of the Closing the Gap agenda. Placing mental health in the Closing the Gap agenda has the added benefit of harnessing the contribution closing the mental health gap could make to closing many other disadvantage gaps. In fact it is our belief that the contribution mental health conditions make to many areas of disadvantage is often underestimated – particularly in many areas that are deemed intractable. This includes lower life expectancy.
. 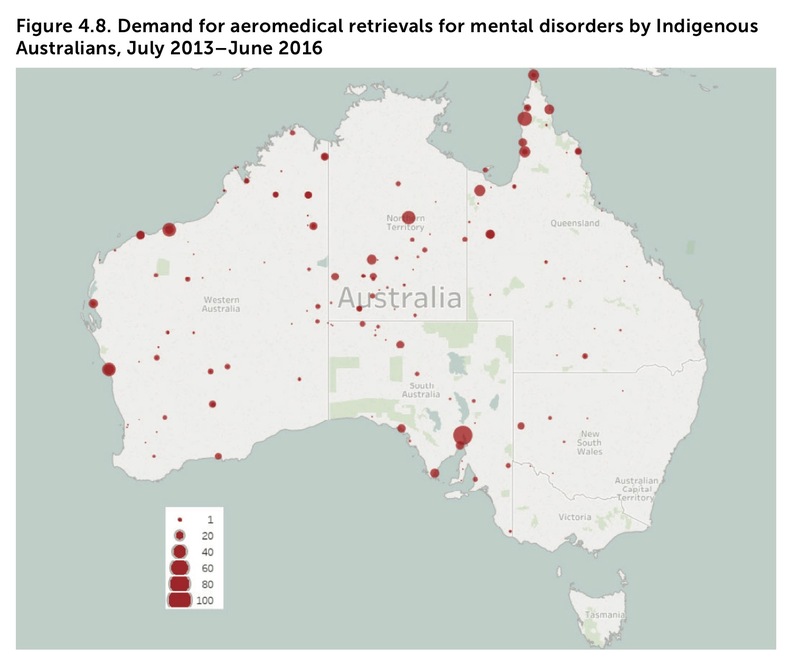 This is one possible source of the additional investment needed, and it could also help to fund the training of the required numbers of indigenous Australians to work at all levels of the mental health system, and to ensure all mental health workers are able to work competently across the cultural divide. 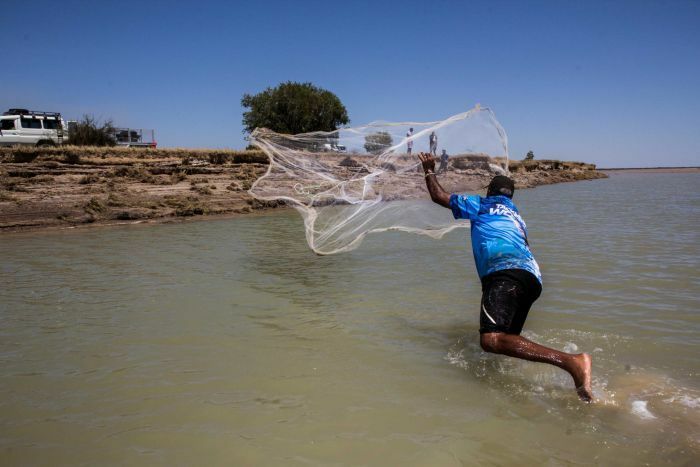 We call on Australian governments to support indigenous Australians to develop and deliver a national plan to close the mental health gap, and to partner with us to advance the solutions identified in the Burdekin report that have stood the test of time. RESEARCHERS have painted a bleak picture of suicide in Australia, using mapping technology to pinpoint clusters and hotspots like never before. 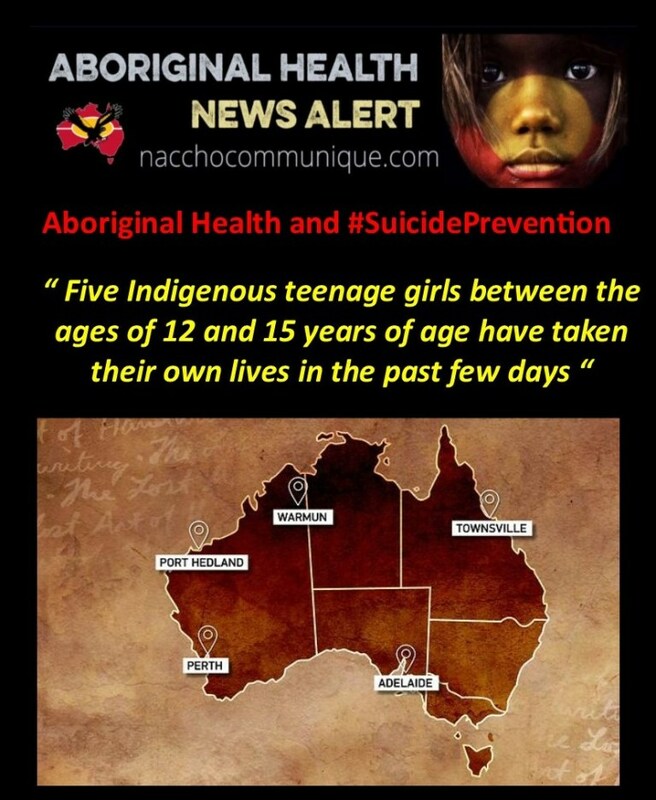 But in doing so, they have also highlighted the tragedy of an Aboriginal suicide rate that is double the norm, illustrating the need for remote and impoverished communities to be given more support, compassion and hope. 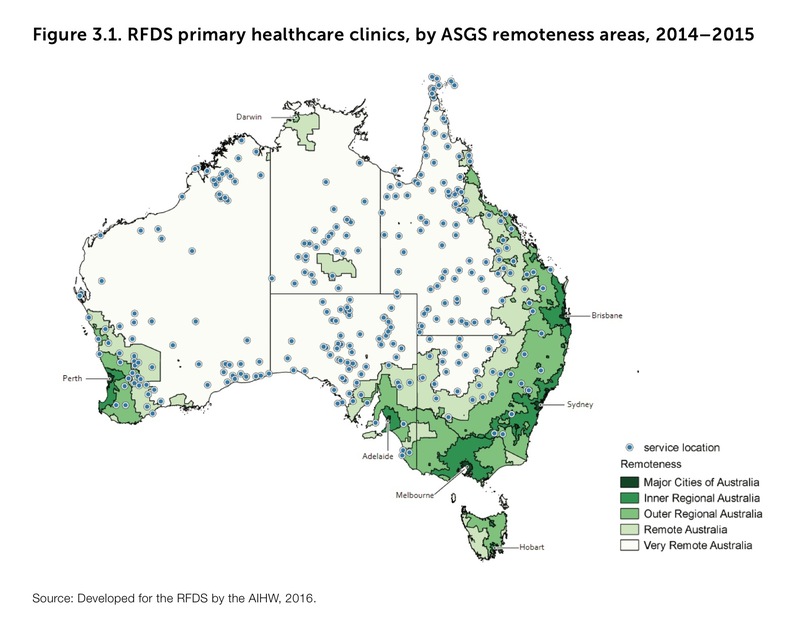 Using several different techniques, based on coronial data from 2004-08, health statistician Derek Cheung and colleagues identified 15 suicide clusters, mainly located in the Northern Territory, the northern part of Western Australia and the northern part of Queensland. While their studies had some limitations, the researchers have drawn worldwide attention to the higher suicide rate in indigenous communities – publishing their findings in the prestigious PLOS ONE journal earlier this year, and Social Science & Medicine last year – and recommended more targeted policy responses. “Our findings illustrated that the majority of spatial-temporal suicide clusters were located in the inland areas with high levels of socio-economic deprivation and a high proportion of indigenous people,” they wrote, also pointing to higher rates among men in remote areas, and the existence of clusters in metropolitan areas. The maps demonstrate the need for not only prevention but also “postvention”, where services are directed into communities after a sudden death to help the bereaved cope. 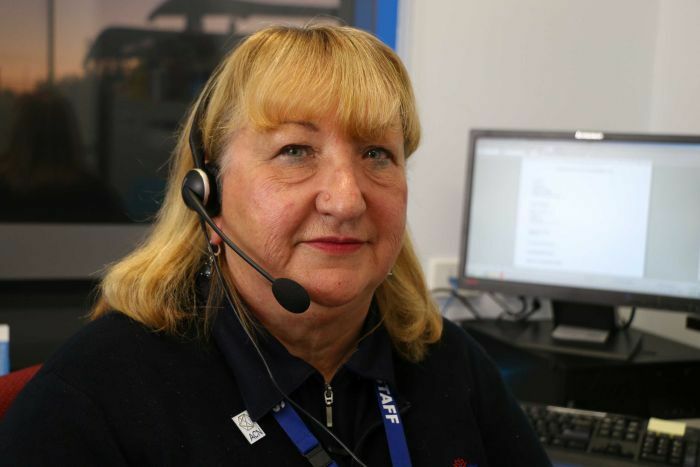 Jill Fisher, the co-ordinator of the National StandBy Response Service, became involved in postvention counselling after a youth suicide 15 years ago was followed, on the first anniversary of the death, by the suicide of two family members. Having received a $6 million funding boost from the commonwealth last year, Ms Fisher now co-ordinates the largest program of its kind in the world and is rolling out more services here while also briefing agencies overseas on its successes and challenges. The program, established in 2002 by not-for-profit agency United Synergies, works with local communities to respond to crises caused by suicide. Ms Fisher said postvention seemed to be more effective in indigenous communities “because it is based on a principle that in a crisis people come together”. 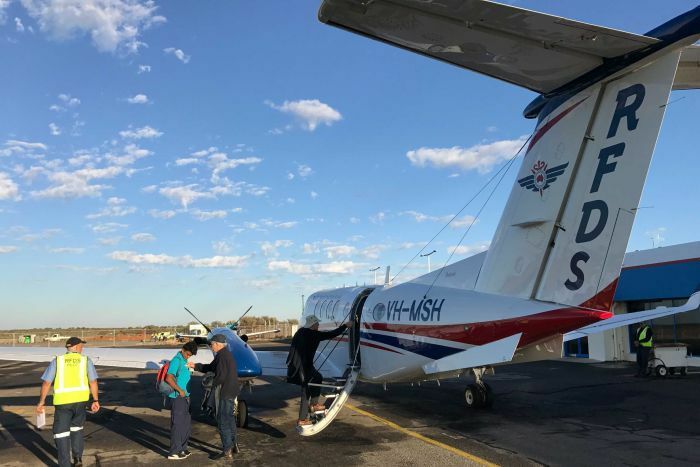 “Some Aboriginal communities start to feel that suicide is all around them, and sometimes that is erroneous and we need to deliver hope,” Ms Fisher said. Writing in Inquirer today, ahead of the 20th anniversary tomorrow of a landmark indigenous mental health report, Tom Calma and Pat Dudgeon call on governments to do more to prevent Aboriginal people choosing death. “While we take great pride in the emergence of an indigenous mental health leadership, we are also frustrated that little on the ground has apparently changed,” they write. 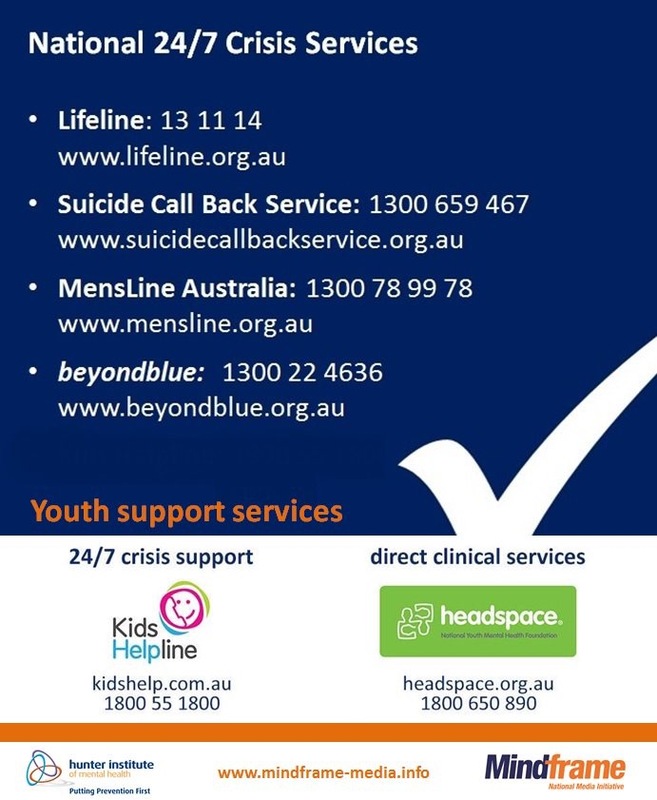 If you are depressed or contemplating suicide, help is available at Lifeline on 131 114.